A portfolio gives you a general idea of how your investments are doing without having to look at each investment separately. A healthy portfolio would mean that you are booking profits and you have invested your money in the right places. A financial portfolio is a compilation of investments in which an investor has invested his/her money. It gives you a general idea of how your investments are doing without having to look at each investment separately. A healthy portfolio would mean that you are booking profits and you have invested your money in the right places. Managing your portfolio consistently ensures that it remains healthy and helps you avoid losses. Regular monitoring of your portfolio will also tell you which investments are earning you profits and which investments you need to sell to cut losses. Before you start managing your portfolio, there are some things you must know. One of the safest ways to avoid losses and to keep your portfolio healthy is to invest in a variety of securities rather than investing all of your money in a single place. Diversification spreads the risk over different securities, and your portfolio is not affected negatively if one of your investments turns bad. Try to save money wherever possible so that you can invest more in the market. Go for a brokerage firm that charges a flat brokerage fee instead of a commission on all your transactions. This will help you save money on commission expenses and other management fees, and will allow you to lose less if the prices of your stocks go down. Portfolio management requires you to identify your risk appetite to know what amount you are comfortable losing. You should keep in mind that the share market can be risky; only invest an amount that you're certain will not become a financial burden for you if things go south. At every stage of investing, you will have to choose between debt and equities. For example, bonds are debt instruments which will provide you with regular interest on your investment and you can either sell them or retain them until maturity. They, however, offer low returns. On the other hand, equities make you the owner of a particular portion of a company and provide you with a portion of the company's profits in the form of regular dividends. Returns and risk in equities are equally high. Hence, You will have to decide what suits your portfolio. To be successful in the capital markets, you must have a little understanding of the basics. A little knowledge about the market would go a long way in having a positive effect on your portfolio's performance. A healthy portfolio requires you to invest in it regularly and in a disciplined way. If you have a constant income, you should try to invest in your portfolio as frequently as possible. If you lose your job or you retire, these investments will help you achieve financial freedom even when you don't have a regular source of income. The best way to manage your portfolio is to continually track your investments' position in the market. Bad investments equal weak portfolio performance, which further results in massive losses. By monitoring investments, you can cut your losses by knowing which investments have the potential to grow and which should be sold immediately to protect your portfolio's performance. Age plays a significant role in managing the portfolio. When you start investing early, you will have more cash with you and less financial commitments. You can monitor your investments more frequently as you will have more time for your portfolio. If you have more time until retirement, your risk appetite can be bigger. 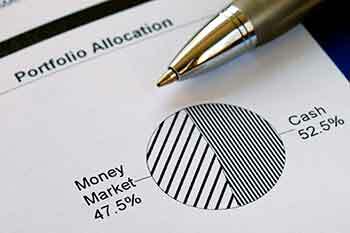 Portfolio management has become a necessity if you have more than one investment. As portfolio management requires a basic understanding of market trends and contributing factors, it is never too late to consult a financial advisor if you think your portfolio is in a bad shape. You can refer to a good brokerage firm, which will allow you to manage your portfolio effectively. Good portfolio management includes considering tax liabilities. A portfolio of investments in a tax-deferred account will grow your wealth faster than investments in a tax-liable account. Since you will have to pay taxes on the amount withdrawn from your retirement fund account and other earnings, you should consider investing in places where you can save taxes and thus, decrease your taxable income.